Two excellent exhibitions currently running in New York City pay homage to two typographic visionaries: Hermann Zapf and Jan Tschichold. Their training and careers followed a similar early path. 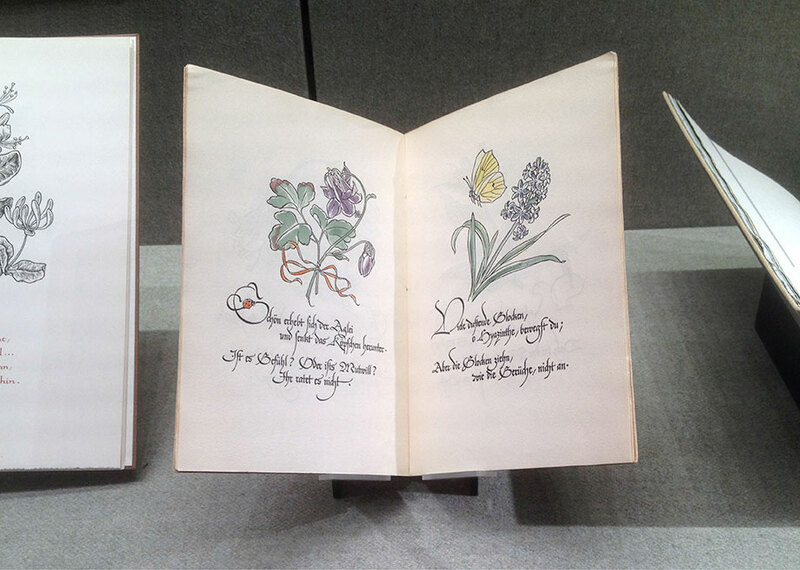 Both designers began their work as calligraphers, and expanded into book and font design. Beyond the inspiration from their work and ideas, their abilities to adapt to their changing times and move the practice of design forward are immeasurable. 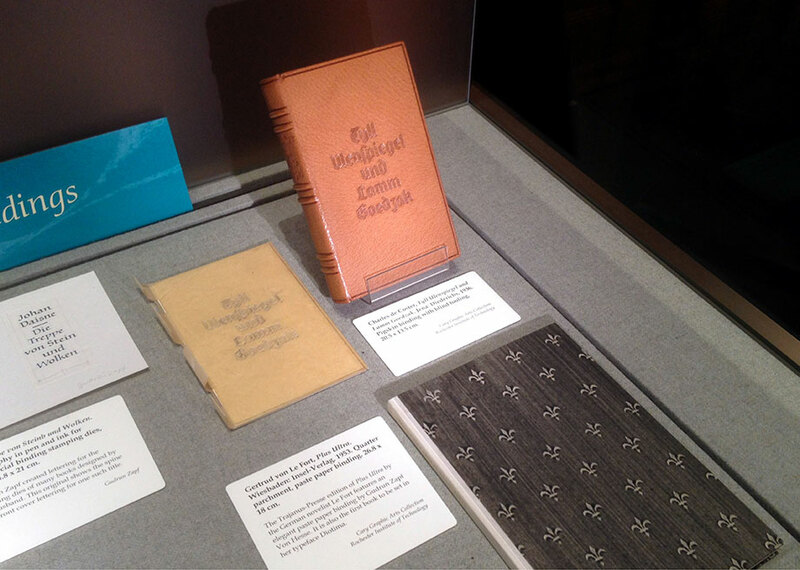 The Grolier Club retrospective commemorates the 100th birthdays of Hermann Zapf and his wife, Gudrun Zapf-von Hesse, highlighting much of their influential work in lettering and book design. Early in life, Zapf’s interest was in technical subjects. Because of the political climate in Germany in the early 1930s, his tech education was sidelined. Instead he apprenticed as a retoucher. While at an exhibition in Nuremberg for typographer Rudolf Koch, Zapf was drawn to lettering and calligraphy. Eventually he found his way to the type foundries, D. Stempel AG and Linotype GmbH of Frankfurt, where designed his first font, Gilgengart, at only 20. Much of Zapf’s graphic work was primarily in book design, but he had been working on typography in computer programs since the 1960s. His ideas were considered radical, and were rejected in Germany. In 1976, he headed a seminal program on computer type at the Rochester Institute of Technology. Zapf later invented a typesetting program, Hz-program, which informed the development of desktop publishing software. Zapf’s merged interests in typography and software laid the groundwork for modern digital type and he was a pioneer in the field. His 70-year career in type design spanned many stages of printing including hot type, phototypesetting (cold type), and digital typesetting, and his creative and practical knowledge of each was imbued in his more than 200 typefaces (Palatino, Optima, Zapfino for example). Zapf’s expertise in hand-lettering, which he continued throughout his life, was a tribute to a dying art. 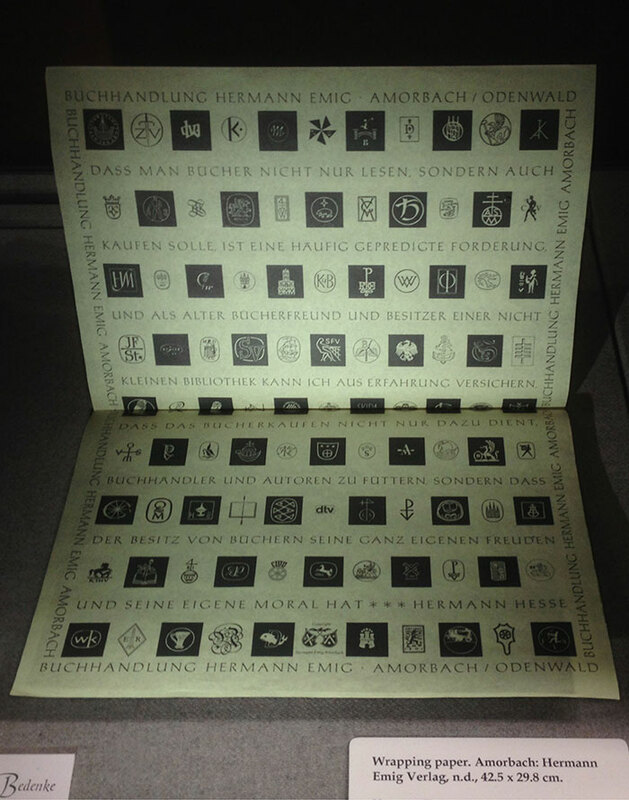 Alphabet Magic: Gudrun & Hermann Zapf and the World They Designed on view at the Grolier Club. Here are some highlights. 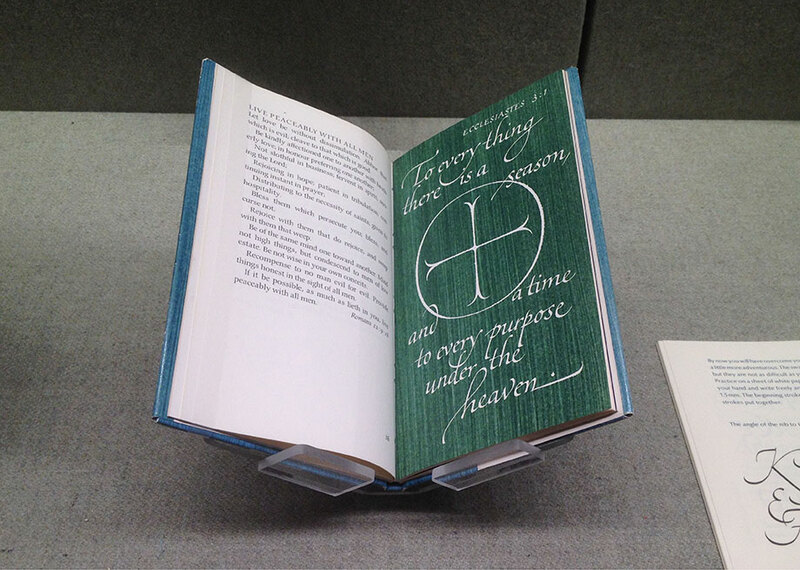 Tracing the revolution in graphic design in the 1920s,The Bard Graduate Center exhibit displays print materials collected by typographer and designer Jan Tschichold in Weimar Germany. As a manual for practicing designers, Jan Tschichold’s 1928 book The New Typography (Die Neue Typographie) became the manifesto of modern graphic design. Combining Constructivist ideas and the options of new printing technology, many of the book’s foundational theories of good design are still in practice today: Grids, guidelines, and the use of sans-serif fonts and photography. 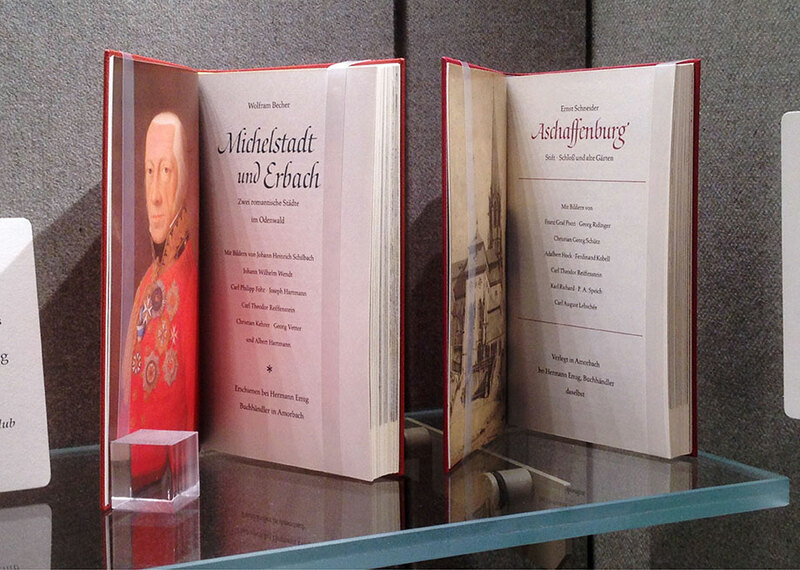 Tschichold’s transition towards his ground-breaking publication was two-fold. In the early 1920s, he was primarily a calligrapher preparing advertisements and practicing a traditional, ornamental approach to design work. 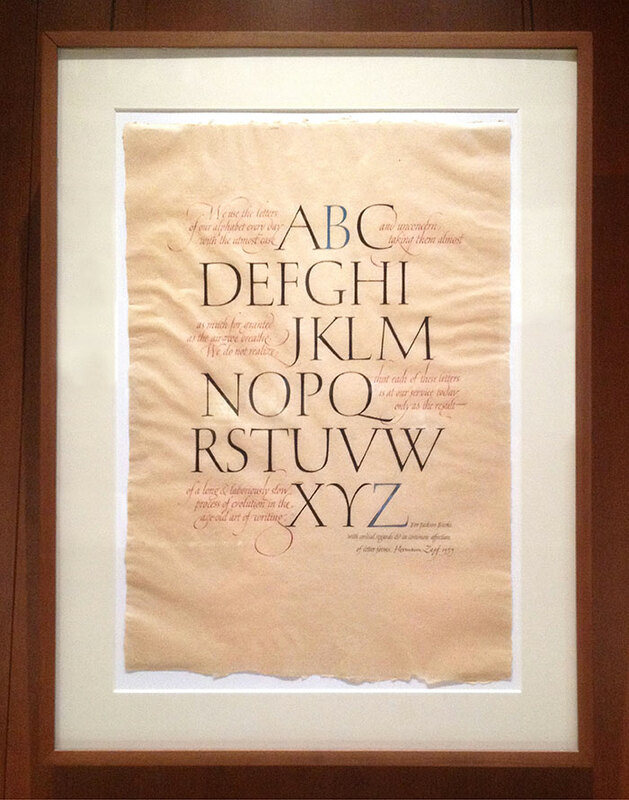 His talent led him to become an early typographer. 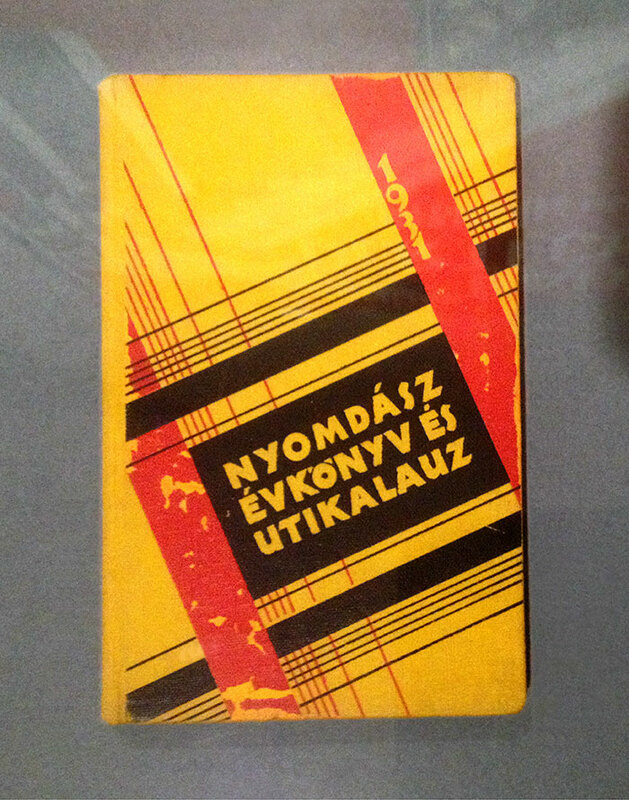 Tschichold visited a Bauhaus exhibition in 1923, and upon seeing the experimental work of resident artist-designers including El Lissitzky, László Moholy-Nagy, Kurt Schwitters and Herbert Bayer, his ideas and practices of design would dramatically change. 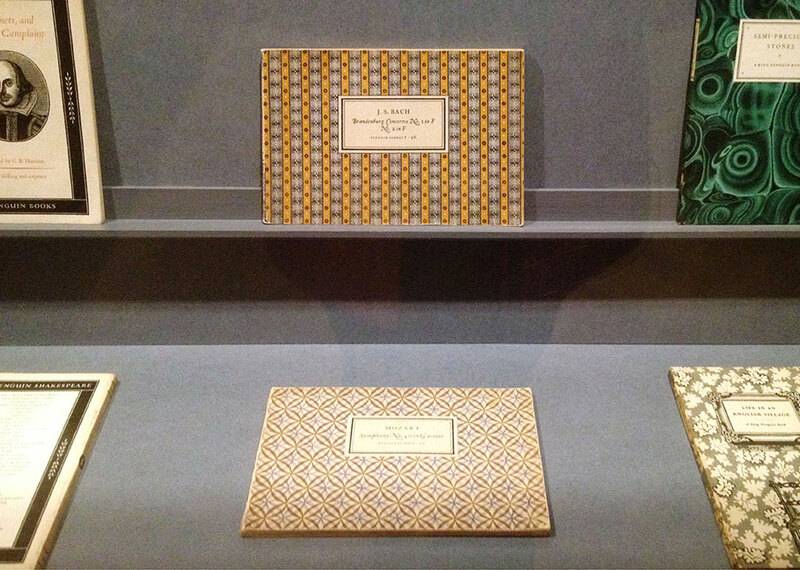 While Tschichold would slowly abandon many of his rigid principles stated in The New Typography and return to a more classic design approach (designing the serif typeface Sabon), his impact on the world of design has been significant. 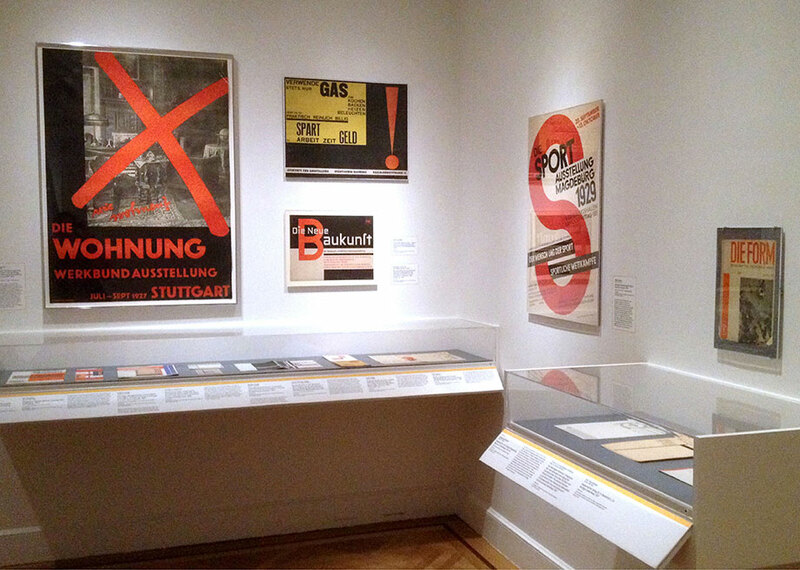 Jan Tschichold and the New Typography | Graphic Design Between the World Wars is on view at the Bard Graduate Center. Highlights are below.